Paul Manafort at a Trump event in Cleveland in July 2016. MANHATTAN — President Trump’s former campaign chairman, Paul Manafort, laundered more than $18 million from offshore accounts, using it to buy multimillion-dollar properties in SoHo and Carroll Gardens, among other luxury goods and services, according to a federal indictment released Monday. Manafort, who is charged with money laundering among other crimes, reportedly surrendered to federal authorities after the indictment was filed as part of special counsel Robert Mueller’s ongoing investigation into Russian interference in the 2016 presidential election. Manafort then borrowed millions of dollars in loans using these properties as collateral, thereby obtaining cash in the United States without reporting and paying taxes on the income." “Manafort used his hidden overseas wealth to enjoy a lavish lifestyle in the United States, without paying taxes on that income,” the indictment said. “Manafort also used these offshore accounts to purchase multi-million dollar properties in the United States." He purchased some of his New York City properties through shell companies, or Limited Liability Companies (LLCs), which are used widely across the city’s real estate market to hide an owner’s identity. Many local officials have long complained that the opaque nature of LLCs enables illicit activities such as tax evasion, fraud and money laundering. Manafort bought a condo on Howard Street in SoHo for $2.85 million in 2012 through “MC Holdings, LLC,” in an all-cash deal that used a shell corporation based in Cyprus, court papers showed. That same year, he bought a $3 million brownstone at 337 Union St. in Carroll Gardens through “MC Brooklyn Holdings, LLC." For his Howard Street condo, Manafort used the property as an income-generating rental from at least January 2015 though January 2016, renting it out through Airbnb, among other places, for thousands of dollars a week. Court papers did not mention whether Manafort rented the apartment out through Airbnb for more than the allowable 30 days when an owner is not present. 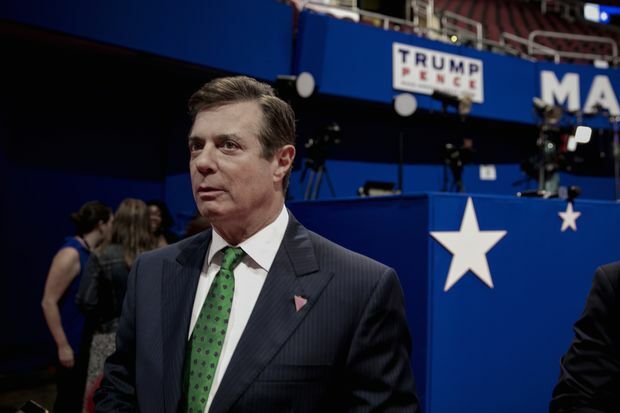 But the indictment did say that when Manafort applied for a mortgage on the condo, he falsely reported to the bank that it was a secondary home used by his daughter and son-in-law rather than a rental property, since the bank would grant a greater loan amount for an owner-occupied unit. He ended up getting a loan for $3.185 million. After purchasing the Carroll Gardens brownstone — across the street from where singer Solange Knowles had lived — Manafort began renovations to turn it from a multi-family building into a single-family home. But that project stalled, leaving the property vacant with a broken window, much to the chagrin of neighbors, according to Pardon Me for Asking. He obtained a loan of $5 million in 2015, after promising that roughly $1.4 million would be used solely for the home’s construction. But he never intended to limit the loan for the renovation, the indictment said, noting that he told his tax preparer before the loan was given that the money would allow him to pay back another apartment mortgage in full. When the loan closed, he used hundreds of thousands of dollars from it to make a down payment on another property in California. The government is looking to seize the Carroll Gardens property, the Brooklyn Eagle reported. The indictment did not mention Manafort’s Trump Tower apartment, located about 20 stories down from the president's own triplex penthouse. That was bought for $3.675 million in 2006 with all cash through a shell company called “John Hannah LLC, according to the Associated Press and WNYC. Under current New York law, to register an LLC, the owners simply need to provide an official name, the county in which it will operate and a P.O. box, allowing them to create a murky world in which they can hide who they are and limit their personal exposure to debt and other obligations, state Sen. Brad Hoylman explained. Hoylman, who represents areas on the west side of Manhattan, Midtown and the East Village, announced a bill in September that would mandate that LLCs organized or doing business in New York publicly disclose their “beneficial owners,” including names and current residential or business addresses. It would also require the New York Department of State to create and maintain a publicly accessible database of registered LLCs and their owners. Under the proposed legislation, violating the rules would be a crime punishable up to three years in prison and up to $10,000 in fines. While Manafort is an American citizen using LLC loopholes, Hoylman believes shell companies are used even more frequently by foreign buyers or entities. More than half of New York condos above $5 million were sold to LLCs in 2014, reported the New York Times, which produced a series on how the high-end condo market's "veil of secrecy" allowed foreigners to park money here that was obtained through criminal activities. The U.S. Treasury Department has been trying to tackle the issue regarding disclosures for cash real estate deals above $3 million in Manhattan and $1.5 million in the outer boroughs, adding in August that deals involving wire transfers would also require disclosing the identity of buyers purchasing through LLCs. NYU professor Stijn Van Nieuwerburgh, who recently published a paper on the impact of foreign investment on real estate markets, said the indictment sheds light on something that has long existed in the city’s real estate market. “The LLC constructions are common, especially on the higher end,” he said, noting that a report from the Treasury Department’s Financial Crimes Enforcement Network (FinCEN) found that 30 percent of sales involving LLCs were connected to people who had been reported for suspicious activity by financial institutions. “Once this type of activity receives a lot more scrutiny, as it certainly will because of the Manafort case, it will temper enthusiasm for these purchases and put further pressure on an already shaky New York luxury market,” Van Nieuwerburgh said. “Frankly, I don’t see any good economic reason for having these LLCs," he added. "A lot of it is tax avoidance."